This week, we are auditioning 85 kids for three plays: Midsummer Night’s Dream, The Wizard of Oz, and Willy Wonka and the Chocolate Factory. This is our third year of drama club, and like a distant memory or a faint dream, I can’t quite place the moment it all became real. Over twenty kids are auditioning for Midsummer Night’s Dream. I am thrilled that there is such interest with fourth and fifth graders. Of course, I’m sure there is hope for a sword fight, a chase, and a few fairies causing havoc. (The boys are bent on a sword fight.) Then there is the bizarre fascination with the donkey head. I went to the Leaf Festival in Asheville. While the Moody Blues inspired parade passed me, I had costume inspirations for Midsummer. I can’t use stilts, and I’m still a little bitter about that. That was the my first inkling of my mild theater obsession. You see, graduate school is over soon, and I must fill my time with another endeavor that will encompass me, completely. The Wizard of Oz has been done so many times; I am driven to do it a little differently. I could have them set in the future, like that Julius Caesar play I saw in high school. Dorothy is wearing space boots, and the Wicked Witch needs them to find her space voyager monkeys. Glenda is tired of green witch’s shenanigans, and she sends her off in a space shuttle-for eternity. I’m not sure what to do with the munchkins in the space scenario. This story has always been a metaphor to me. I mean, Dorothy-searching for The WIZARD of OZ? And for crying out loud, he was such a let down. Her real world is black and white, which could mean a myriad of things that only Dorothy could discuss with the right therapist. Her colorful world could illustrate her awareness of her issues. Her best friends need a heart, courage, and a brain. We have all been there. Wouldn’t it be lovely to always be courageous, intelligent, and full of love and compassion? But, it usually comes down to our friends shaking us apart, and telling us to scrape up the last bits of courage from the remnants of the day. I hate when they do that. 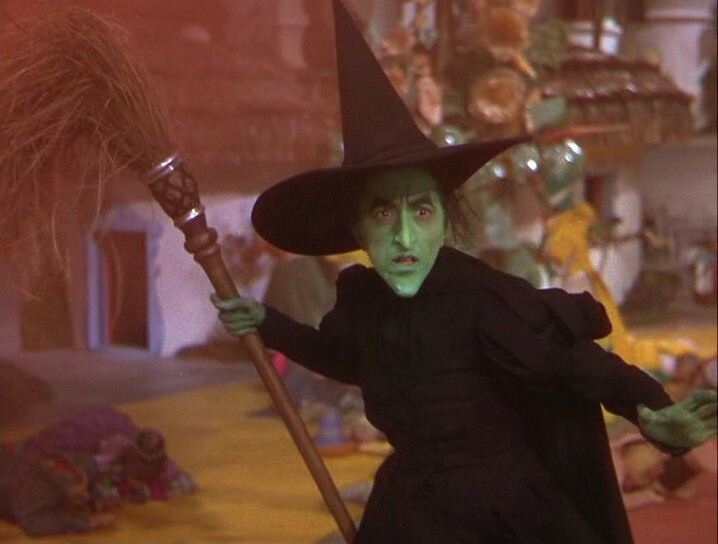 The Wicked Witch is a sad little green thing. I can’t imagine being allergic to water. No wonder she was neurotic and a shoe obsessed. I sat with Shannon, doing drama club paper work, and we sang “I wish I had a Brain” over and over. Sometimes we don’t have brains, and that is really okay. Oh, I could tell you why The ocean’s near the shore. I could think of things I never thunk before. And then I’d sit, and think some more. My heart all full of pain. If I only had a brain. I tell you, life can be a ding-a-derry. Whatever that means. As I am becoming embroiled in our school theater productions, I am saddened by the fact that this wonderful theater is close to shutting down. This is where we saw, The Taming of the Shrew, Hamlet, A Thousand Paper Cranes, Macbeth, Macbeth Junior, The Holiday Hootenany, Ensler’s monologues, and so many more amazing performances. This is where I performed with my daughter, for the first and last time. When I think of this theater, I think of some of my dearest friends; Daniel chewing wood while directing Shrew, Margarita encouraging me to have the Macbeth narrators dance to Liza Minelli’s All that Jazz, avoiding the giant MACBETH boulder in the middle of the theater, and most of all-laughing through our creative spirits. I think of my personal growth as an educator, because I saw the need for theater arts in our elementary school. We have 85 drama club members, within two grade levels. That means something. That is huge. Sometimes, that is overlooked. I think of how quickly hours of work can become a wrinkle in time, because the cause is so very worth every single, tiny, moment spent, working with these kids. I think of our volunteers, who came together from diverse backgrounds, to keep the heart of performing arts beating in the theater. My hope is that by some miracle, Oz is real-somewhere. Maybe, in our little theater? Maybe, in the hearts of our performers? Maybe in our audiences? Our community? Because without them, we have no theater. “Now I know I’ve got a heart because it is breaking.